I wanted to like this story. It's a short listen, however the first two chapters are just pure data dumps. The narrator is rather robotic and completely non believable as other characters. The story premise is fantastic, and for that reason I hung in there. However I did not enjoy this audio book. Would you listen to Elven-Jumper again? Why? Yeah! It was a fun book and the narrator really brought the characters to life. What was one of the most memorable moments of Elven-Jumper? I don't want to give away spoilers. Have you listened to any of Richard Coombs’s other performances before? How does this one compare? I haven't yet. This was the first one. The dream memories of Ayana. When humans on Earth start having strange dreams the realm jumpers go to investigate. 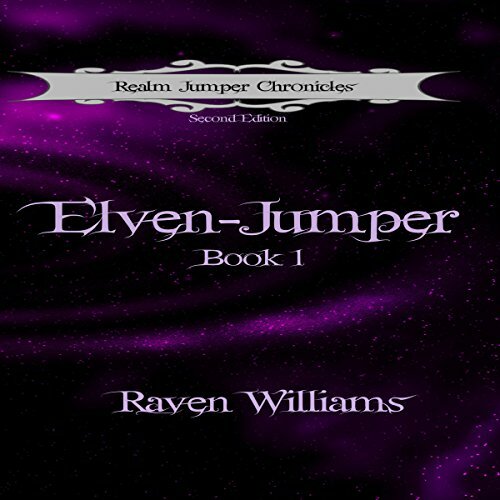 Humans can’t know Elves and other supernaturals exist so the realm jumpers bring the humans back to their world Paer-Jhysael and give them their options. But waiting and plotting are the dark elves who want control of Paer-Jhysael. This makes for an intense read. I listened to the audio version but also have the kindle. That made the reading easier and I would highly recommend it for anyone listening to the story. The worlds and creatures are fantasy fiction and there is a ton of info for the reader. Being able to scan the kindle made it easier. Either way it was an exciting story. This is the first book of Raven Williams I’ve read and I wasn’t disappointed. She blew my mind with the creation of the world inside this book. If you enjoy the Hobbit series or the like then check out this series. It’s also great for all ages. I love that since many times I listen to books with my granddaughter.